Irisys is the world’s leading supplier of People Counting sensors, with a heritage spanning over 20 years of world class innovation and over 400,000 units deployed worldwide. Now introducing the Vector 4D, the most capable people counter ever designed, we continue to produce world-leading people counters for the retail analytics, supermarket queue management, and building utilisation applications. 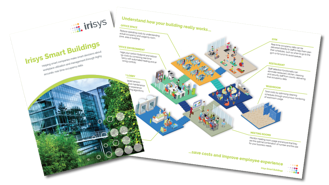 Combined with powerful counting algorithms, Irisys People Counters provide our end-users with data that can transform the understanding of their businesses. Working through a worldwide network of Partner companies that can provide our end-users with local support, a wide variety of software solutions, and installation services.